Cardiac check up, Treadmill, ECG, ECHO. Preventive health checkup packages, Vaccinations. 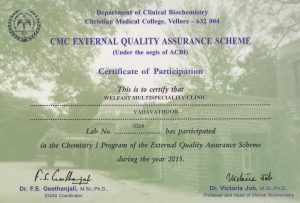 Laboratory Quality – Assured through CMC Vellore External Quality Assurance Scheme. 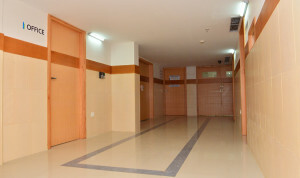 Laboratory including Hematology, Biochemistry, Serology,etc Microbiology (delete microbiology). IT Backbone with optional Electronic Medical Records and Electronic Prescription. 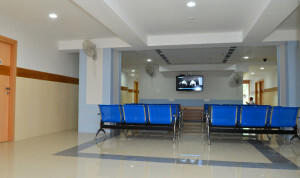 All consultation rooms, Lab and wards connected through intranet. Clinic Management Software (delete highlighted), Electronic Billing. Latest and most advanced equipments sourced internationally.